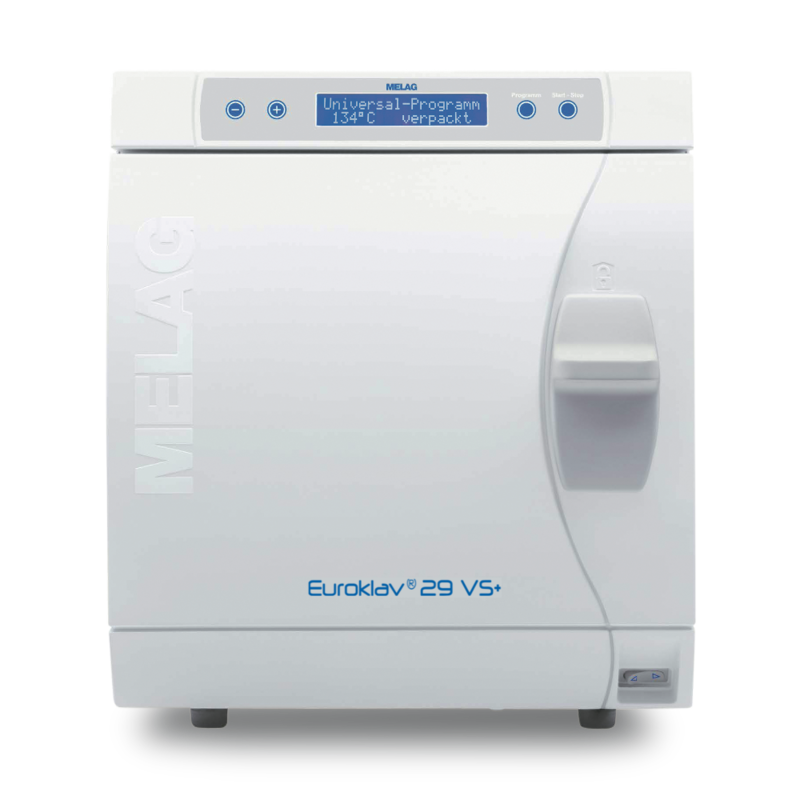 MELAG offers practices an economical alternative to the Vacuklav-series with its Euroklav 29 VS+, which, due to the instruments and the type of wrapping used, require no “Class B” steam sterilizer. The Euroklav 29 VS+ features four “Class S” programs for sterilization of wrapped, simple hollow instruments (e.g. scissors, needle holders, clamps etc.) and textiles, even if these are packed. 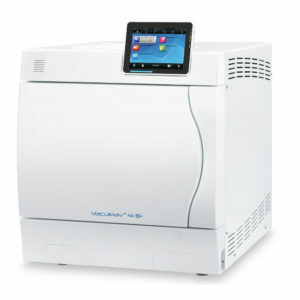 Equipped with a powerful and efficient vacuum pump, a simple pre-vacuum occurs before sterilization in order to remove air safely from the wrapping and from the interior of the instruments. 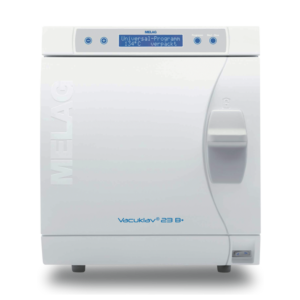 Control and monitoring of pressure and temperature parameters necessary for safe sterilisation take place by means of sensors and an innovative micro-processing control unit. The innovative electronic design permits versatility in documentation, digitally through the network and MELAtrace or through the compact flash card as well as with the known MELAprint 42 log printer.